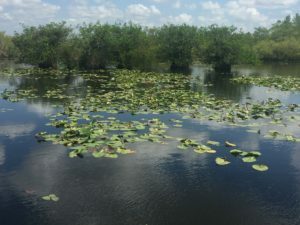 In this eloquent passage, Marjory Stoneman Douglas, author of The Everglades: River of Grass, beautifully captures the essence of Florida’s unique geography within the United States. Due to its closeness to the tropical Caribbean and the warm Gulf Stream, this peninsula harbors several unique plant communities found nowhere else in the USA. One of these is tropical hardwood hammock, a dense stand of hardwood trees of primarily Caribbean origin (sometimes over 90% of native species present). These rich and diverse forests with such evocatively named trees such as gumbo limbo, cocoplum, and wild cinnamon are important for a number of South Florida’s Caribbean birds that reach the northern end of their range in here: White-crowned Pigeon, Mangrove Cuckoo, and Black-whiskered Vireo. 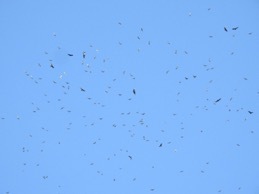 They are also an important wintering ground for a wide variety of songbirds. White-crowned Pigeon is a handsome, large pigeon that depends on these hardwood forests to feed. 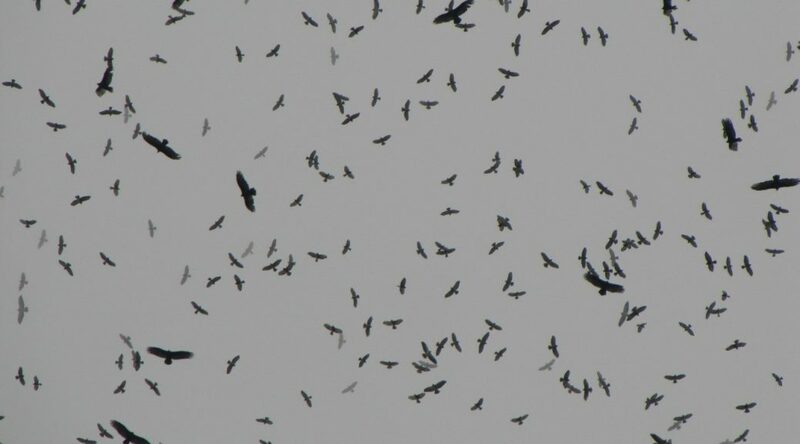 During spring and early summer, these birds can be seen streaming overhead into Florida Bay by the hundreds in the afternoon at Flamingo in Everglades National Park. They can also be seen throughout the year in suburban Miami where they have taken a liking for ornamental fruiting trees in people’s yards! 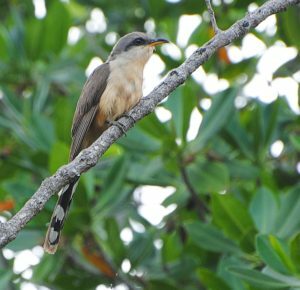 In spring, the nasal call notes of Mangrove Cuckoo and repetitive song of Black-whiskered Vireo can be heard in healthy tropical hardwood hammocks in South Florida — the former is partially resident while the other flies all the way from South America to spend the summer here. 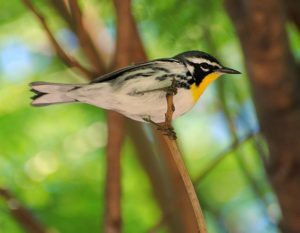 Of course, all three of these species are among the most desired of South Florida’s Caribbean birds to see for the visiting birdwatcher. In fall and winter, these forests become even more active! Mangrove Cuckoos fall silent and Black-whiskered Vireos depart for the true tropics, but a couple dozen species of warbler, vireo, tanager, oriole, and flycatcher spend the winter in South Florida in this habitat. 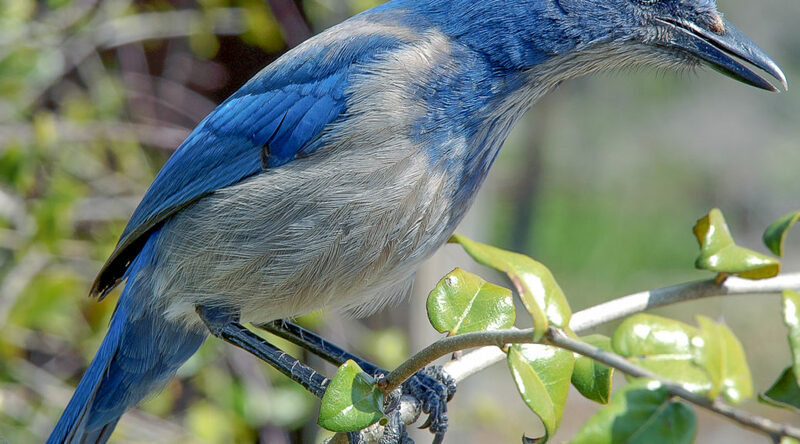 While the rest of the country lies in winter’s grip, January and February are a great time to observe “summer” birds in Miami and the Keys: Baltimore Oriole, Yellow-throated and Blue-headed Vireo, Great Crested Flycatcher, Summer Tanager, Painted and Indigo Bunting, and diverse flocks of warblers that can include everything from Worm-eating to Yellow-throated to Black-throated Blue. 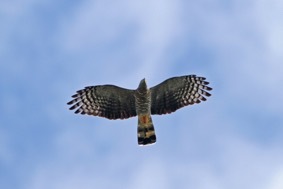 Winter is also the best time to see Short-tailed Hawk, a striking South Florida specialty often missed on spring tours, soaring high overhead. 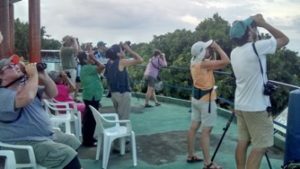 In conclusion, South Florida and its unique tropical hardwood hammocks always have something to offer, whether it is a spring tour to catch up with uncommon summer breeders or a winter tour for the sheer diversity of wintering songbirds. Please consider joining us for either the winter or spring version of our Florida tour! 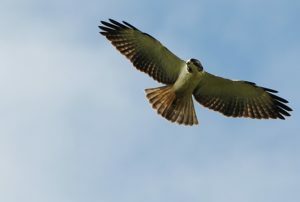 A special thank you to Carlos Sanchez for such a well-written and informative post on South Florida’s Caribbean birds. Recently, Carlos gave a talk entitled “Following Birds to the Heart of Brazil” to the Linnaean Society of New York at the American Museum of Natural History. What an honor! We are lucky to count Carlos as one of our guides. 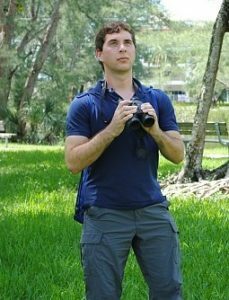 You can travel with Carlos on a Naturalist Journeys adventure in Winter 2017 to the Galapagos, South Florida, Belize, and Cuba. 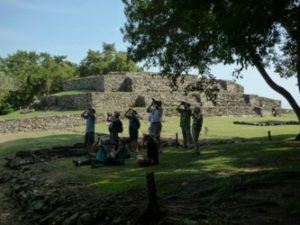 Don’t miss your chance to explore with such a talented guide.